Yammer boasts that it is a “leading enterprise social network for businesses to get work done smarter and faster.” Well, how do you know if that is true? One great way to see how it is working for you is by checking out Yammer’s analytics. How do you access these great tools? It’s easy. Log into Yammer. From the Home screen, select the More button (three dots) at the top right-hand corner of the screen. Next, choose Apps. This opens the App Directory. Scroll down the page until you come to the My Apps section. Click the Analytics button. This will open Yammer’s Analytics tools, which can be accessed by all users. The Analytics app offers you six different categories with valuable information. Overview: This section tells you how your network has grown at a quick glance. It will show you the number of Likes, Messages, and Files you have. Members: Here, you will find details about members such as total number of users, total number of engaged users, and total number of new users. You will even see a chart that shows engaged users over a specific period of time. Messages: This category reveals all the information you need about your Messages. You will see Total Messages, Private Messages, and Group Messages for a specified period of time. You will also see overall Total Messages. This information is also displayed in a handy bar graph. Groups: Groups provides valuable information about Yammer Groups. This includes all Groups, and more specific information about your Groups. Yammer shows you the number of Active Groups, New Groups Created, Total Public Groups, Total Private Groups, and Total Groups from All Time. The line graph shows Active Groups for a specified period of time. This section also shows Total Public Groups and provides information on the top five. 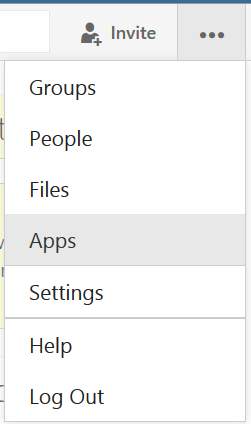 Files: This section tells you how many files have been uploaded to Yammer. It all provides important information on file views. Access: Access provides three graphs that reveal how people are accessing and using Yammer, including how users access and post to the site. Yammer also offers Data Export. This gives you even more options for organizing, viewing, and using the valuable insights that Yammer offers you.